Let's give warmth to the babies and children. Back in April, I did a call out to knitters for beanies for children. The response was overwhelming with over 200,000 readers worldwide. In fact, we received so many beanies that we had to ask people to stop knitting them. But on a brighter note, we were able to take the beanies to other hospitals around Australia and send them to our Nepal project. Since then I have had many people ask if any other charities require knitting, especially for children. Everyone is now knitting cot blankets for St Kilda Mums (Melbourne, Australia) and Hayden’s Helping Hands for the homeless, but I also contacted World Vision who have a Knit for Kids Program. 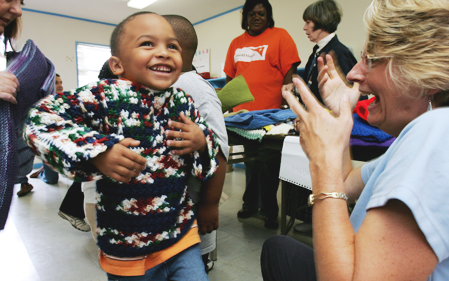 Knit for Kids is a nationwide program that unites thousands of volunteer knitters to fight poverty with their knitting needles. 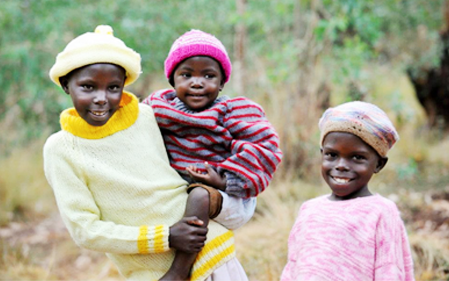 With every stitch, together hope and warmth are given to vulnerable children living in stressful situations around the world. We're grateful for your desire to partner with us in this way! We encourage you to download one of the patterns from our website to make a child's blanket, hat, scarf, or mittens. We prefer that you use one of our patterns (click on the link here to the patterns), but if you have a pattern that's easier for you, you're welcome to use it. Knit or crochet your item using acrylic yarnin any colour or combination that you like. When you're done, print a packing slip from our website and mail your completed items to our distribution centre in Pennsylvania. Your items may be given to children in the U.S., Central or South America, Asia, or Africa. Our global distribution centre in Pennsylvania sends items wherever the need is greatest at that time. Sometimes they're shipped to an area that has experienced a recent natural disaster. If you need knitting help, we suggest visiting your local craft store or finding someone in your local community who can answer any knitting or pattern questions. Thank you again for using your talents to bless children and families in need! All you need to know to start knitting is here. Sep 13 Do You Feel Like You Don't Belong? Aug 21 How You Can Help Mothers With Newborn Babies?